U.S. Marine Cpl. 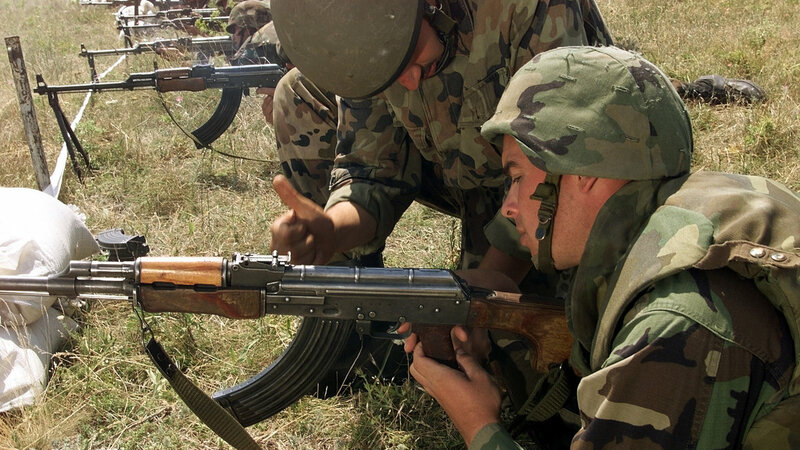 Chris P. Duane (right) receives assistance from an Romanian soldier in clearing a Russian RPK squad automatic rifle during the weapons familiarization phase of Exercise Rescue Eagle 2000 at Babadag Range, Romania, on July 15, 2000. With the adoption of the M27 Infantry Automatic Rifle by the United States Marine Corps, the Marines have replaced the M249 Squad Automatic Weapon. What's especially handy about the new M27 IAR is that it can use the same 30-round magazines used by M4 and M16 rifles. In fact, it looks very similar to the M4 and M16, too. Russia, though, has had a similar dynamic in operation for over five decades with the Ruchnoi Pulemyot Kalashnikova, often called the RPK for brevity's sake. The RPK replaced the RPD light machine gun in Soviet service starting in 1964. The original version fired the 7.62x39mm round used in the AK-47 assault rifle and the SKS carbine. The biggest difference between the RPK and the AK-47 is the length of the barrel. The AK-47's barrel is about 16.34 inches long — the RPK's barrel is about eight inches longer. Despite this, the RPK shares many common parts with the AK and can readily accept the 30-round magazines used by the assault rifle classic. The RPK has been upgraded over the years, equipped with night vision sights and polymer furniture, which replaced the wood used on older versions. When the Soviet Union replaced the AK-47 and ALKM with the AK-74 (which fired a 5.45x39mm round), the RPK was replaced with the RPK-74, maintaining a common round. Newer versions of the RPK for the export market are chambered for the 5.56x45mm NATO round. A semi-auto version, the Century Arms C39RPK, is available for civilian purchase today. 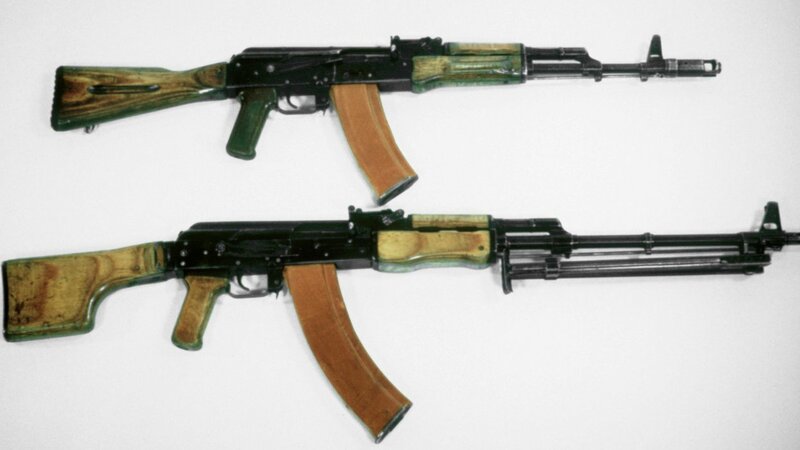 The AK-74 (top) and the RPK-74. Note the longer barrel and bipod on the RPK. The RPK has seen action in conflicts around the world, starting with the Vietnam War, and still sees action in Iraq and Afghanistan, among other places. Even though it has seen over 50 years of service, the RPK likely has a lengthy career ahead of it with militaries — and insurgent groups — around the world.